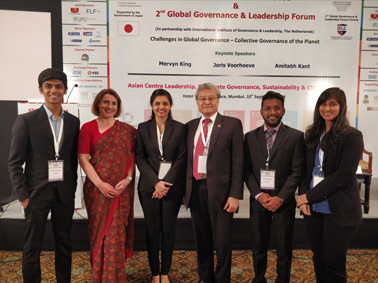 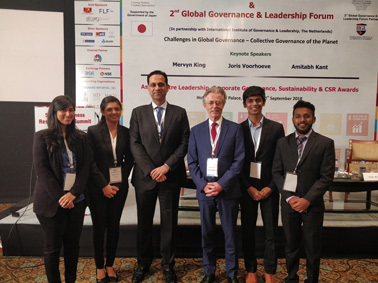 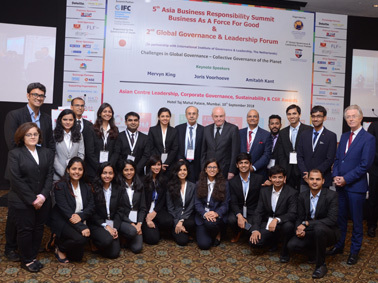 Master of Management Studies (MMS) students from MET Institute of Management volunteered at the '5th Asia Business Responsibility Summit and 2nd Global Governance & Leadership Forum' which was organized by Asian Centre for Corporate Governance and Sustainability in collaboration with the International Institute for Governance and Leadership on 10th September 2018 at Hotel Taj Mahal. 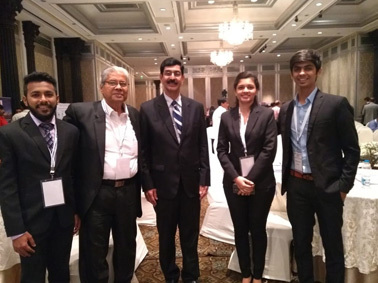 MMS students had extremely coveted opportunities of engaging with corporate top brass and industrialists. 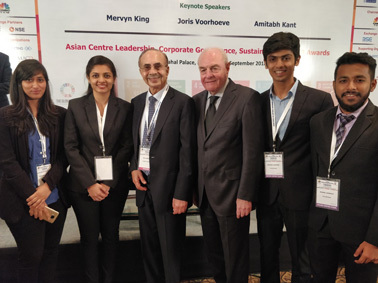 MET students closely interacted with Mr. Adi Godrej (Chairman, Godrej Group), Mr. R. C. Bhargava (Chairman, Maruti Udyog Ltd), Mr. Sanjiv Bajaj (Managing Director, Bajaj Finserv) and the prominent speakers Prof. Mahendra Kumar Chouhan (Member of the Global Board, International Institute of Governance & Leadership, Netherlands), Mr. Merwyn King (Chairman, IIGL), Mr. Amitabh Kant (CEO, Niti Aayog), Mr. Joris Voorhoeve (Formal Defense Minister of Netherlands and Global Expert in International Peace-making), Mr. Paul Chan (President, MACD), and Mrs. Vladislava Ryobota (Head of Corporate Governance, IFC, South Africa).